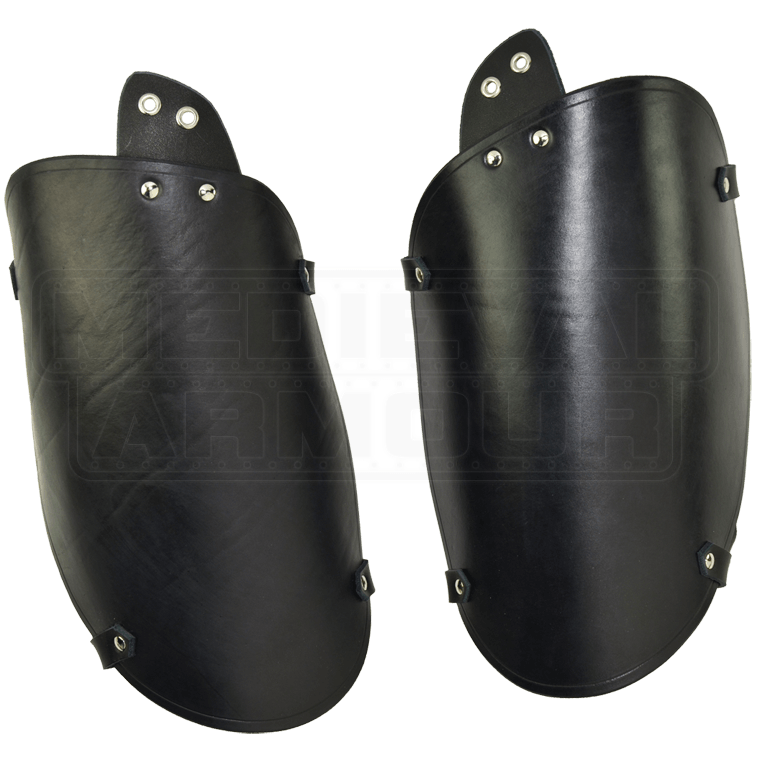 Our Standard Leather Thigh Armour is made of thick, combat ready 13/15 oz. leather. This armour features a simple yet functional design. A simple style allows them to be used for just about any period of re-enacting and to be paired with other armour and still easily match. We have designed this armour to fit the natural shape of your leg. The thigh armour attaches to your leg with two straps and buckles and also has a leather tab with grommet holes at the top of the leg, you can use this to lace onto your belt if desired (lace is not included). This armor is available in black or brown. Has arming points on top and is very hard & durable. You just need to shape it to your fit.